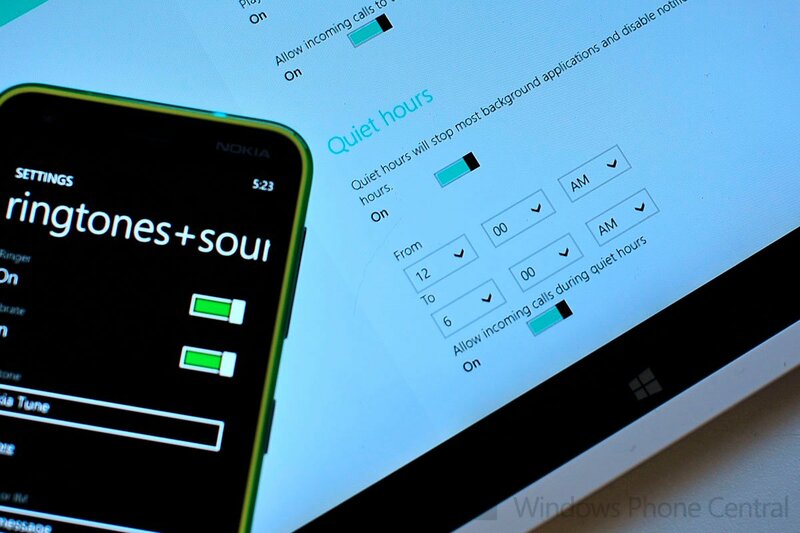 Quiet Hours for notifications: Coming to Windows Phone Blue? With the big leak of Windows Blue build 9364 arriving over the weekend people have been furiously going through it to find any new, unannounced features that are presumably coming later in the year. For Windows Phone users, it’s even more interesting because we know that Windows Phone Blue is an analogous project that the Windows Phone dev team is undertaking at this moment. To what extent Windows Blue, Windows Blue RT and Windows Phone blue overlap is still not known, but it has been strongly suggested that this is one of the first attempts to bridge the OSs, including a common Store. One interesting feature that we can guess is coming (or at least it would make sense) is the new ‘Quiet Hours’ feature found under the Settings and Notifications on Windows Blue 9364. It’s exactly what you think it would be: an area where you specify a time for the device to stop making noise when a new notification comes in and similarly a time to re-enable those notifications. 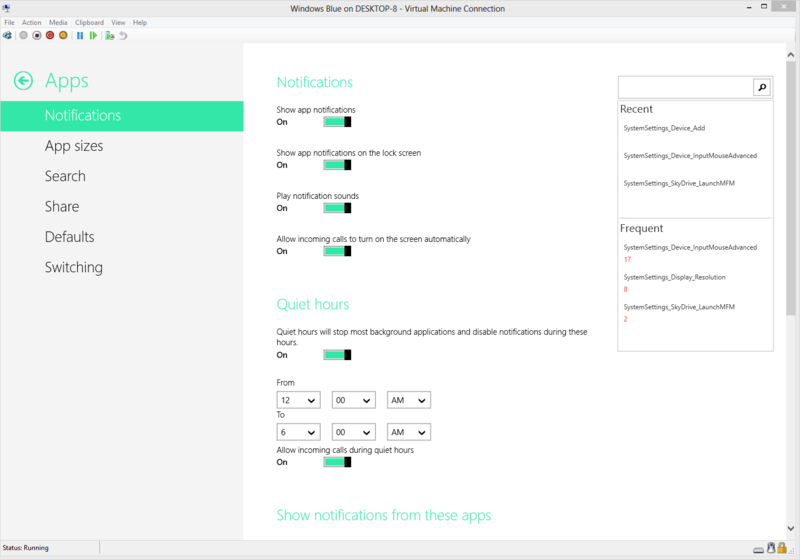 In and of itself, that’s not a ground breaking addition and it simply expands the current ability to temporarily silence notifications for 1, 3 or 8 hours. But the inability to control sounds on Windows Phone, including custom alerts, profiles, separate ringer/volume abilities and quiet hours have all been thorns in the sides of users and some of the top requested features. It would seem odd that Microsoft, in an attempt to better bridge Windows Blue and Windows Phone Blue would miss such an obvious opportunity to share new features between the two systems. What do you folks think: Does the inclusion of a ‘Quiet Hours’ features in Windows Blue mean anything for Windows Phone? Let us know in comments. Thanks, Daniel S., for the heads up and image!